All RTD probes ordered have an optional calibration that can be preformed in the CTTA thermal lab. Please ask your contact at CTTA for more information. (15.5 in) Platinum 4-wire RTD temperature probe in 0.25-inch diameter by 15.5-inch long stainless steel case with gold plated male connector. (6.0 in) Platinum 4-wire RTD temperature probe in 0.25-inch diameter by 6.0-inch long stainless steel case with gold plated male connector. 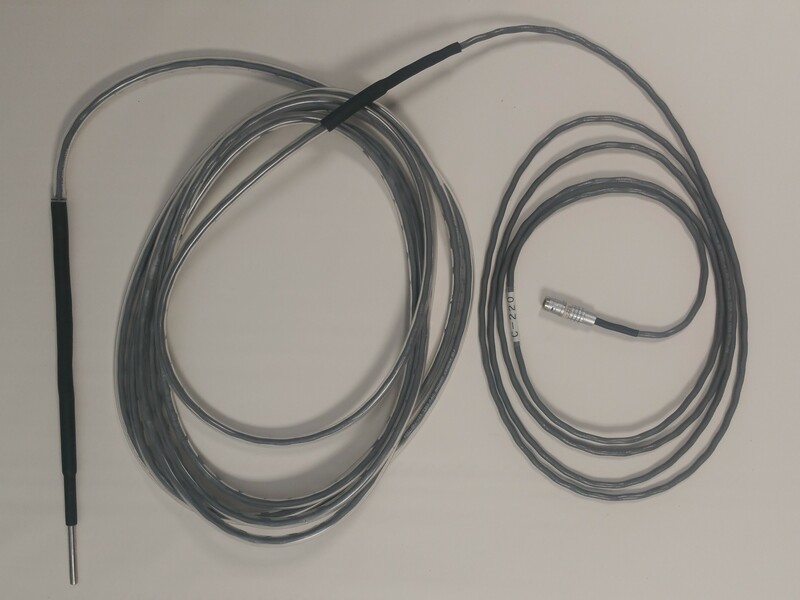 (Submersible with 30-ft Leads) Platinum 4-wire RTD temperature probe in 0.25-inch diameter by 6.0-inch long stainless steel case, 30-ft wire leads installed inside 25-ft of plastic tubing and sealed for water resistance. Includes gold plated male connector on end. Shielded 4-wire cable with gold plated male and female connectors to attach the RTD temperature probes to the remote mounted RTD FEM. 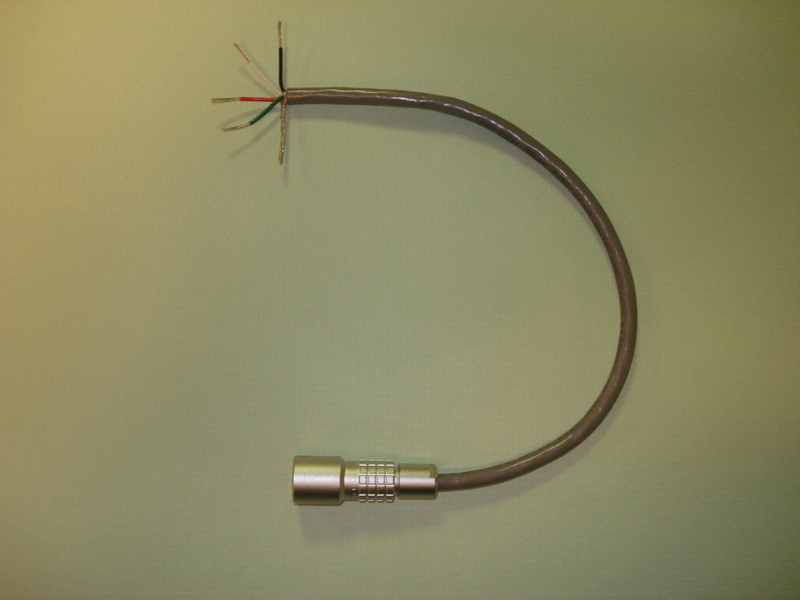 Shielded 4-wire cable with gold plated female connector on one end to attach to the RTD temperature probes and stripped leads on the other end.